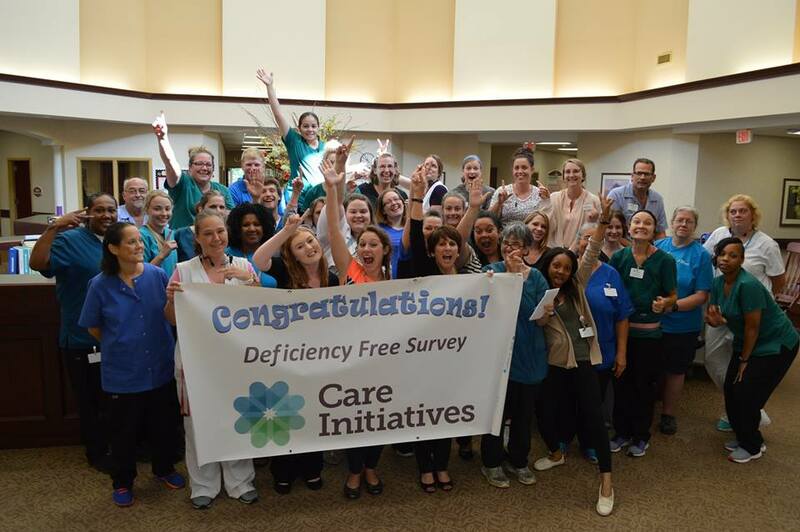 Lantern Park Specialty Care received a “Deficiency Free” result on its annual survey in July by the Iowa Department of Inspections and Appeals. The annual survey, which is conducted over several days, covers over 500 quality, safety and performance issues such as medication management, proper skin care, assessment of resident needs, respect for resident rights and dignity, food service, environment and administration. The complete evaluation includes a tour of the facility, review of residents’ clinical records, and interviews with residents and family members about life and the care they are receiving. With the increase in regulations, achieving the distinction of a “deficiency-free” rating is very prestigious. These surveys, and their subsequent ratings, are a useful tool for current and prospective residents, their families, and health care practitioners to make informed choices about the quality of a long-term care facility. “Our entire facility, including residents, staff, families and volunteers work together as a team to make Lantern Park Specialty Care a safe, and comfortable living community. Our goal is to help people with life’s health transition and we think we do a great job of that,” says Administrator Kari Gerst. Lantern Park Specialty Care is an 90-bed skilled nursing facility offering rehabilitation services, skilled nursing care, long term care and hospice care. It is owned and operated by Care Initiatives, Iowa’s largest not-for-profit senior care provider. With headquarters in West Des Moines, Care Initiatives and Care Initiatives Hospice operate 55 skilled nursing, rehabilitation, Alzheimer’s/dementia, assisted living, senior house apartment and hospice locations throughout Iowa. Care Initiatives is committed to providing compassionate care for Iowans through all of life’s health transitions. For more information about Lantern Park Specialty Care, visit careinitiatives.org or call 319.351.8440.